TEQlease Education Finance today launched TEQQuote, an online lease quoting tool for education equipment vendors. 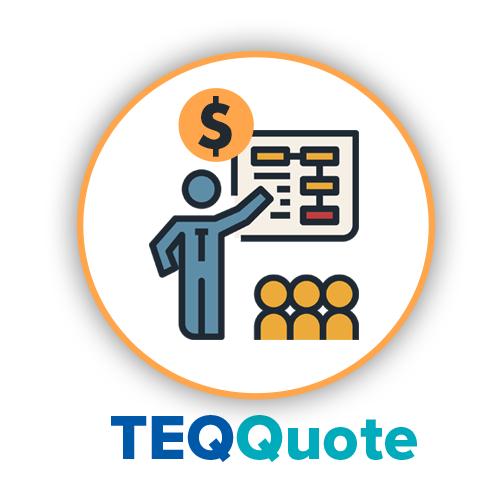 TEQQuote allows education equipment vendors to create instantaneous lease finance quotes for schools looking to acquire equipment, spreading the cost of the equipment over several budget periods. 29 education equipment vendors already use TEQQuote. When education equipment vendors need to provide a customized solution such as Device-as-a-Service (DaaS), or large, staggered equipment deployments, or other specialized financing solutions, TEQQuote can be used to facilitate communication between the vendor and the TEQlease Education Finance EDU Specialist. The custom finance quote is then relayed within hours so that the school receives prompt and detailed finance options for its equipment acquisition. To learn more, please call your TEQlease Education Finance EDU Finance Specialist to set an appointment.